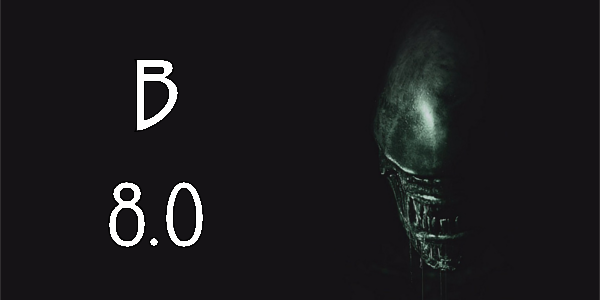 The long awaited return of the Xenomorph has arrived. Like the return of an old friend, the frightening creature is back to terrorize a handful of unlucky space travelers and delight the audience in a strange way. Alien: Covenant reverts back to a story more in line with the original 1979 film, Alien, and combines those horror elements with other features from entries in the franchise for a weird mash up that strangely works. Bound for a remote planet on the far side of the galaxy, members (Katherine Waterston, Billy Crudup) of the colony ship Covenant discover what they think to be an uncharted paradise. While there, they meet David (Michael Fassbender), the synthetic survivor of the doomed Prometheus expedition. The mysterious world soon turns dark and dangerous when a hostile alien life form forces the crew into a deadly fight for survival. As I said above, the film follows a similar plot structure to both the original Alien just with a bit of Prometheus sprinkled in. This results in some truly thrilling scenes, almost at white-knuckle levels of intensity, even if sequences are predictable for anyone that knows how horror films work. There are some tone issues in the third act when the plot shifts, but like most sci-fi films from director Ridley Scott; Alien: Covenant is quite bold in the decisions it makes. In terms of performances, there really isn’t a weak link across the board. Katherine Waterston as Daniels is perfectly fine as the lead here. She is able to carry the emotional moments when needed and sells the action elements as well. Daniels is no Ripley but she works for this film. By far the biggest surprise is Danny McBride as Tennessee. The actor shines in this setting and pretty much nails every single moment he is tasked with. Despite McBride standing out, he can’t even compare to the performance from Michael Fassbender. The actor once again, in a similar way to Prometheus, carries this film on his back. Playing a synthetic, a standard character for any film in the franchise, Fassbender is downright chilling at times in a brilliant performance that only accentuates just how talented he is. Alien: Covenant is whole-heartedly a lovechild of Alien, Aliens, & Prometheus. 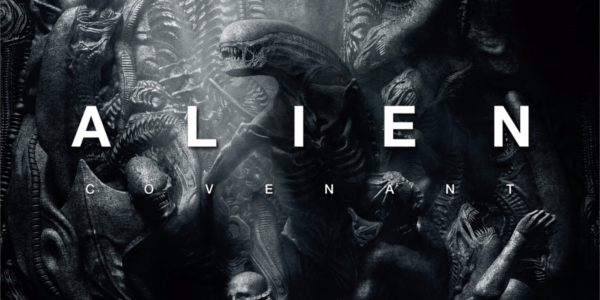 The film is less claustrophobic than Alien, contains less action than Aliens, is less complex than Prometheus but still a combo that represents the franchise getting back on track. The production design and visuals are once again stunning, maintaining the strong visuals of most Ridley Scott films. The Xenomorph is as terrifying as always and the new creature, the Neomorph is equally as haunting, in design and execution. Both creatures help this film absolutely earn the R-rating that it brandishes, taking the gore to new levels. Overall, Alien: Covenant is not the best film in the franchise, but I doubt it was trying to be. Nothing will surpass the classics that the first two entries have become. It is an improvement on Prometheus however, bolstering more of what fans wanted from this franchise. The acting is superb with a few standouts, the alien creatures are terrifying and the film as a whole is gorgeous to look at. While there are tone issues, they never really stand in the way of this film being an absolute thrill and completely worth your time and money. So what did you think of Alien: Covenant? Have you seen it? And how does it rank amongst the other films in the franchise? Subscribe, share, comment below and as always return to I Am Sam for weekly reviews and insight.